Bruno Lucchesi, author of five compelling books on sculpture, has produced two Films with Signilar Art Videos. Mr. Lucchesi takes the viewer through the entire process of sculpting in terra cotta. He develops the facial features, using one profile and then another. He knows his anatomy in depth, and forms muscle bone and tissue with ease and grace. Here is the entire process, from bare armature to finished piece. All of the secrets, techniques, all of his movements. 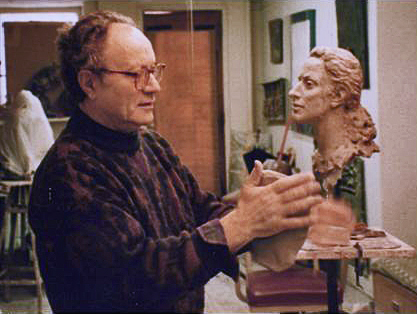 Each of his tools and materials are explained on these clear and concise films with one of the world’s most respected sculptors.